When it comes to keeping your employees and your family healthy and protected from illness in Colorado, it’s important to remember your annual influenza (flu) vaccination. The flu can strike suddenly and spreads through coughing, sneezing, and close contact. Symptoms vary, but can include fever, chills, sore throat, muscle aches, fatigue, cough, headaches and a runny or stuffy nose. Monument Occupational Medicine provides flu shots in their Monument, CO office. We also have an on-site program where we can visit your place of work and administer flu shots to your employees. Open to ALL seniors, students, employees, and the Colorado community. 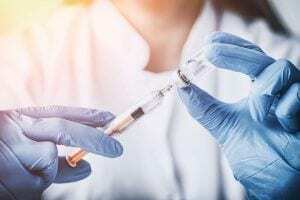 Flu vaccine will be administered and protects against the four most common viruses suggested by the CDC for 2018-2019. For more information about other types of flu vaccines, the benefits of annual flu vaccination, and more, visit www.flu.gov.